ALLEVYN* LIFE Non-Bordered is a five-layer composite hydrocellular foam dressing with a hyper-absorbent lock-away core. ALLEVYN* LIFE Non-Bordered is indicated for wound management by secondary intention on shallow, granulating wounds, chronic and acute exudative wounds, full- and partial-thickness wounds including: pressure ulcers, leg ulcers, diabetic foot ulcers, infected wounds, malignant wounds, surgical wounds, first- and second-degree burns, donor sites, skin tears, and fungating ulcers. Can be used in conjunction with INTRASITE* Gel for necrotic or sloughy wounds. Also indicated for pressure ulcer prevention on intact skin as part of a pressure ulcer prevention protocol. Do not use ALLEVYN* LIFE Non-Bordered dressing with oxidizing agents such as hypochlorite solutions (e.g. EUSOL) or hydrogen peroxide, as these can break down the absorbent polyurethane component of the dressing. If reddening or sensitization occurs, discontinue use. 2(1/8)"x2(1/8)", 4"x4", 4"x8", 6"x6", 8"x19(3/4)", 8(1/4)"x8(1/4)". 1. Atkin L, Nierenberg N, Wild T. Case Series: ALLEVYN LIFE Non-Bordered Foam Dressing for Managing Moderate to Heavily Exuding Wounds. Wounds International. 2018;9(1):20-4. 2. Fairlamb D. Internal Report: ALLEVYN LIFE Non-Bordered Clinical Claims Supporting Statement. 2017. 3. Rossington A, Drysdale K, Winter R. Clinical performance and positive impact on patient wellbeing of ALLEVYN LIFE. Wounds UK. 2013;9(4):91-5. Cleanse the wound in accordance with normal procedures. Select appropriate dressing size. 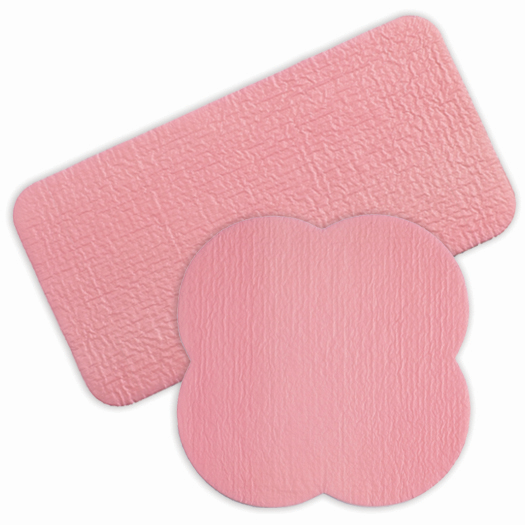 Prepare and clean the skin surrounding the wound area by removing excess moisture. Any excess hair should be clipped to ensure close approximation to the wound. Using aseptic technique remove the protector material from ALLEVYN* LIFE Non-Bordered and apply the adherent side to the wound ensuring good contact all the way around. Secure with a dressing retention sheet, tape, or bandage. ALLEVYN* LIFE Non-Bordered Dressings, as part of a complete pressure ulcer prevention protocol, can be inspected daily and reapplied. For wound management use, dressings can be inspected and reapplied, but should be left in place to protect the wound. Where used on infected wounds, the infection should be inspected and treated as per local clinical protocol. Dressings can be left in place for up to seven days depending on the level of exudate.